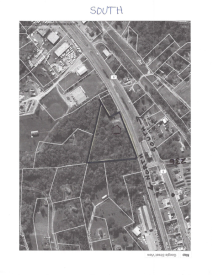 LOCATION, LOCATION, LOCATION, 5.5 Acres Zoned TMX, Commercial, Preliminary Concept Approval. Prime site w/great exposure w/75 Ft. on Route 5 North. Just pass ADF Bingo, south of Route 236 intersection. mixed use zoning w/many possibilities!!! Improved w/dwelling, central water at site. There is a house on the subject which is an interim use.